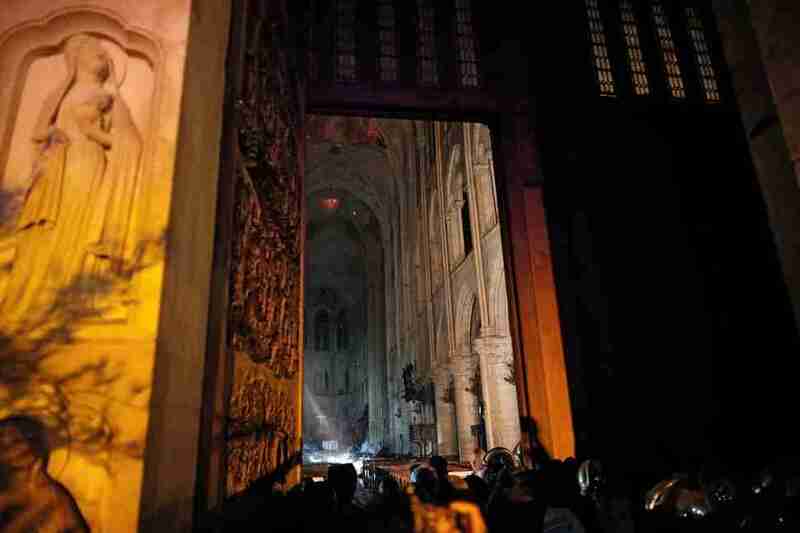 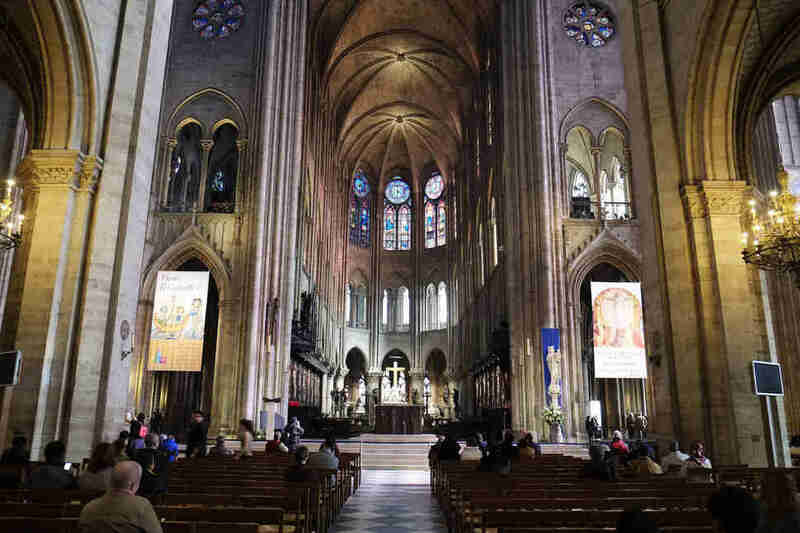 Notre Dame, the treasured cathedral that has watched over Paris for more than eight centuries, is still standing. 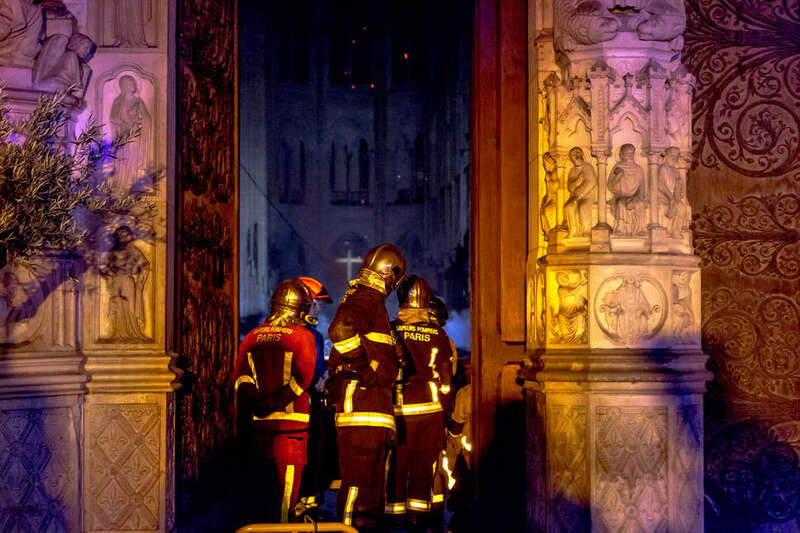 After hundreds of firefighters waged a nail-biting, hours-long battle against the flames watched around the world, French officials said the devastating fire was finally extinguished on Tuesday morning. 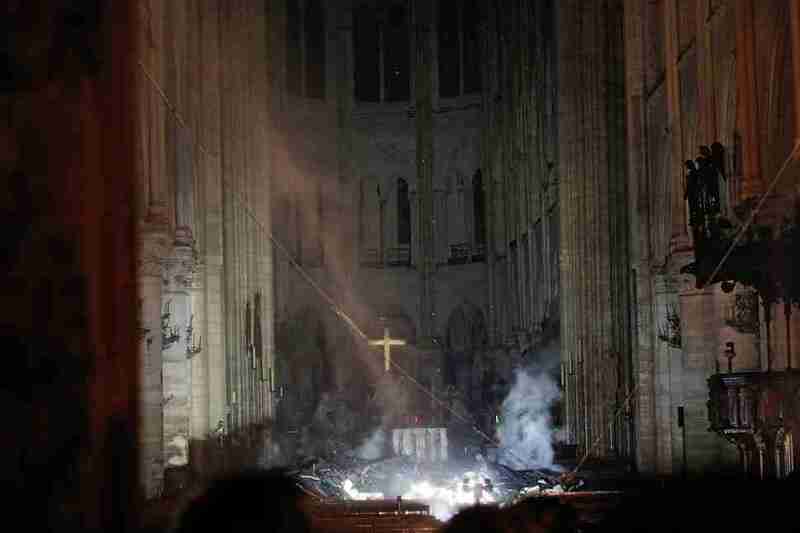 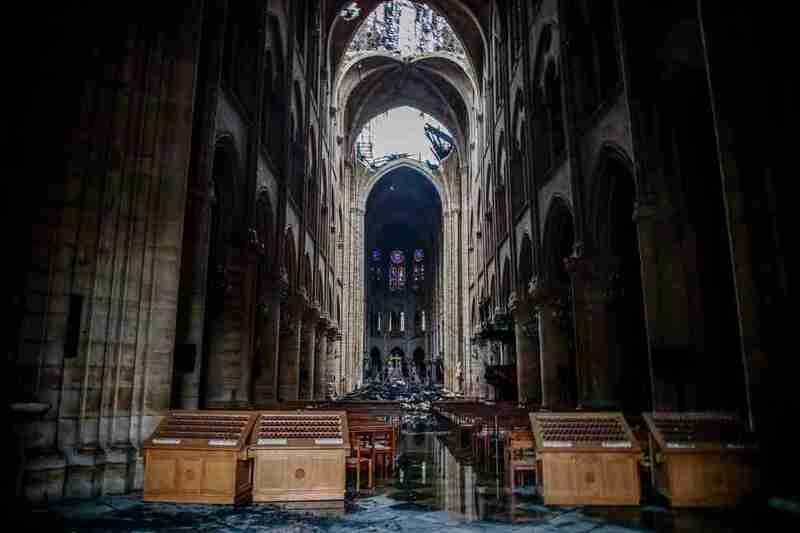 Now, experts are beginning to asses the damage, and while it's too early to know the full extent of what was lost, new photos provide a glimpse of what perished -- and miraculously endured -- inside the architectural marvel. 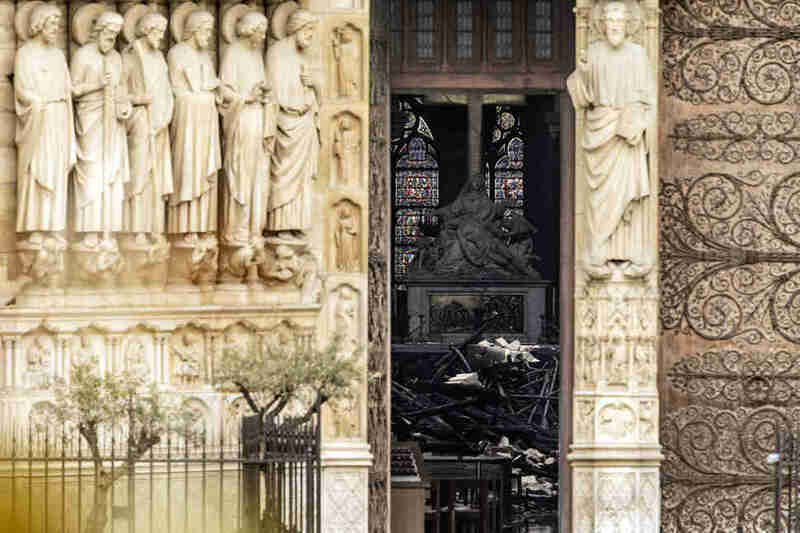 The structure, which was completed in 1345, is home to troves of priceless artwork, religious relics, and other historic artifacts in addition to its globally revered Gothic architecture. 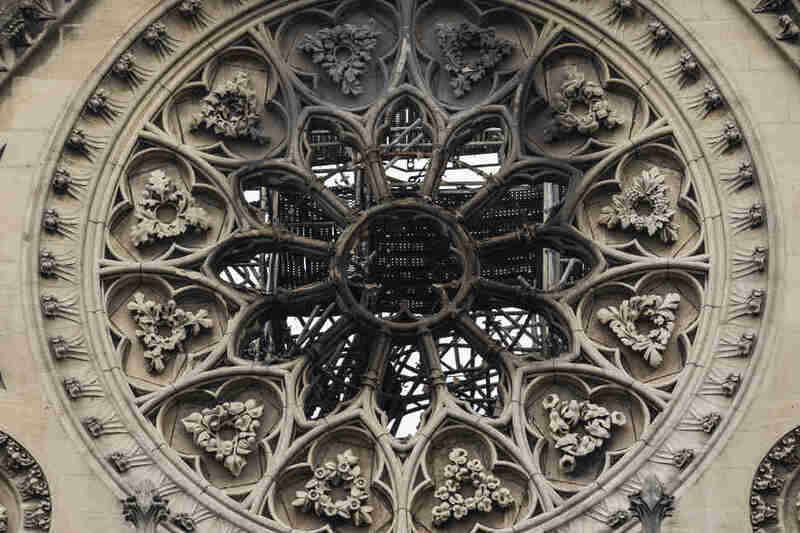 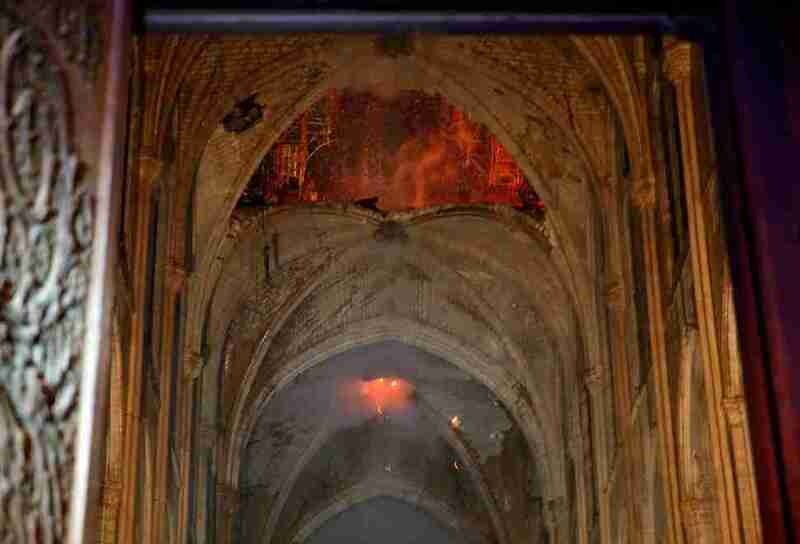 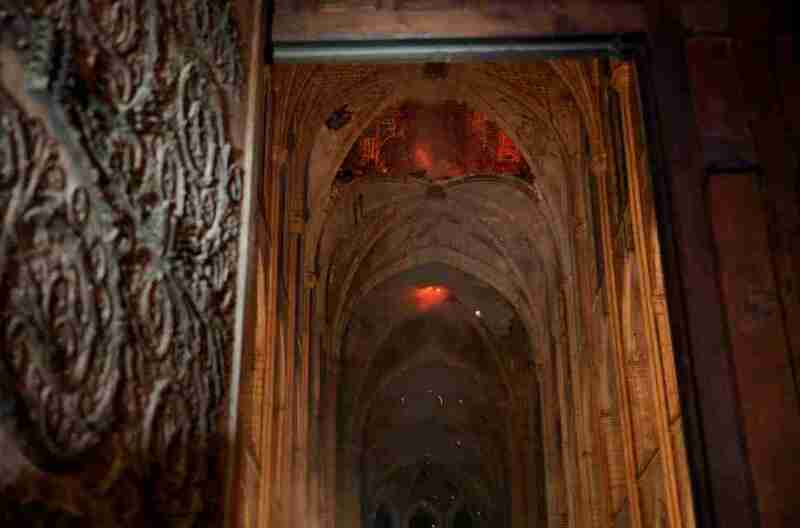 As CNN reports, the Rose windows -- the cathedral's beloved trio of gorgeous stained-glass windows, have survived the blaze, along with its twin bell towers, great organ, and even Crown of Thorns that is believed to have been placed on the head of Jesus. 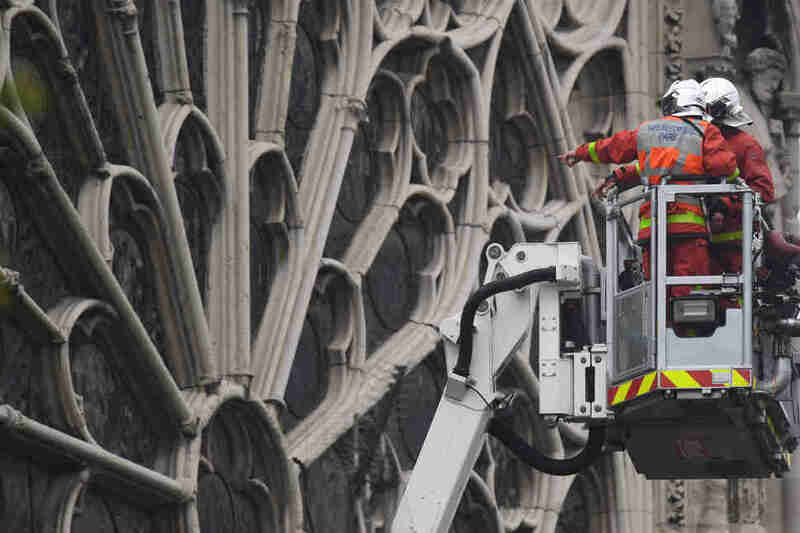 French President Emmanuel Macron vowed to repair and rebuild Notre Dame, saying "This cathedral will be rebuilt by us all together." 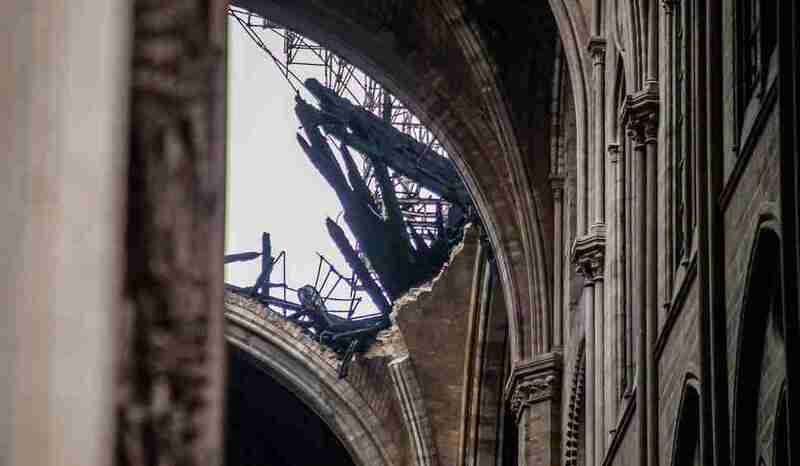 Experts said it will take years -- if not decades -- to fully restore the cathedral to its former glory (pictured below), according to a report by The Guardian. 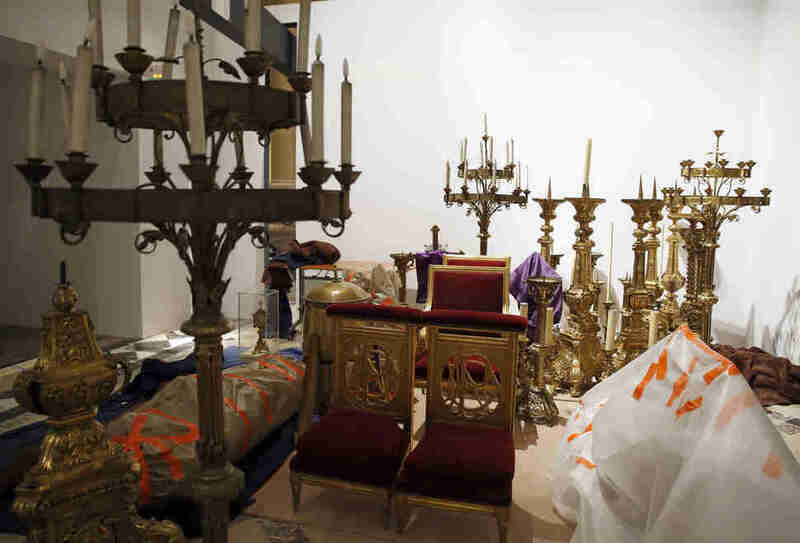 Financial support is arriving from wealthy donors and corporations around the world. 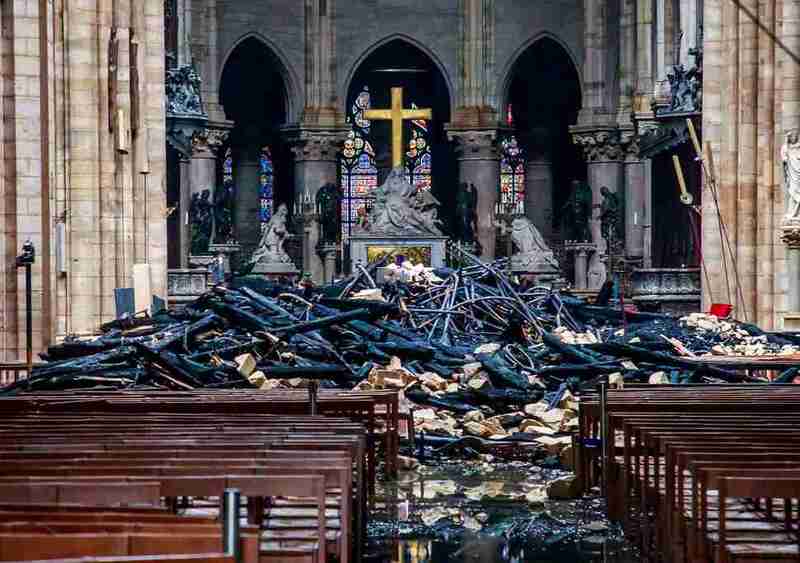 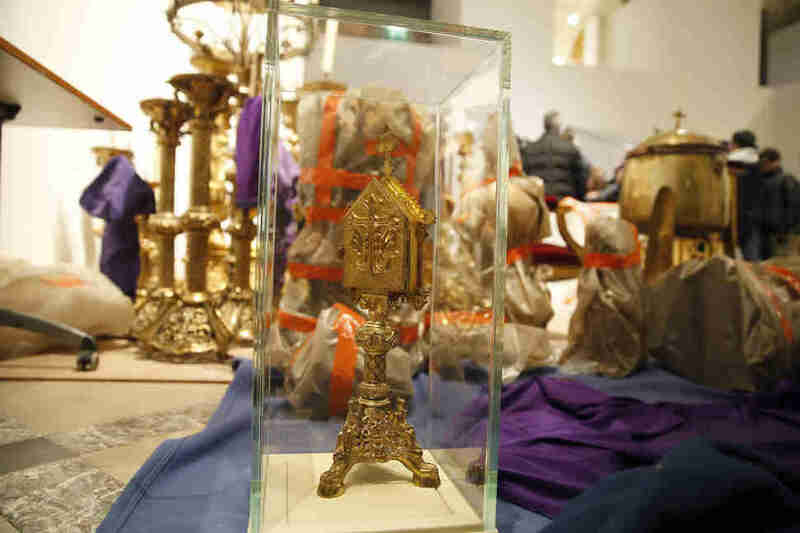 But for now, officials are tasked with assessing Notre Dame's wounds and surveying its structural integrity, while the people of Paris continue to mourn the damage to their beloved landmark.